Listen again to this beautiful song played during the service this morning. Holiday Bible Club is coming! 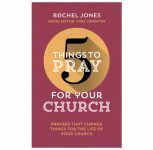 Come along tomorrow evening as we launch our new church prayer series – 5 things to pray for your church!